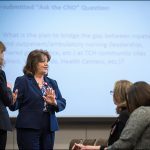 On February 23, Chief Nursing Officer Mary Jo Andre hosted her fourth virtual town hall at Texas Children’s Pavilion for Women Conference Center. 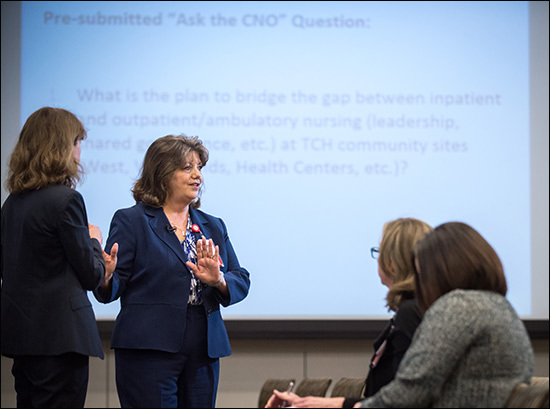 Approximately 300 attendees participated in the live audience and close to 300 more registrants watched the Nursing town hall via live stream, remote gathering locations, unit-based huddles or via the on-demand video recording of the event. 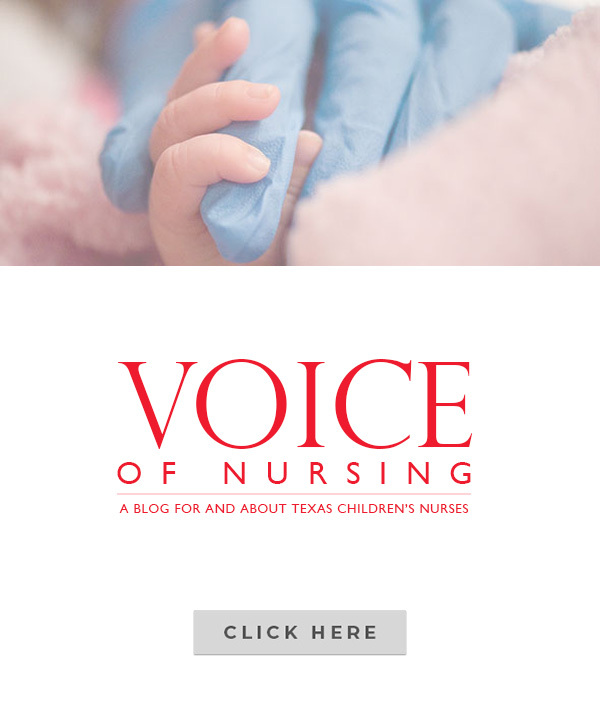 Nursing partnered with the Corporate Communications team to organize this event and engage our team of more than 3,000 nurses that comprise Texas Children’s largest employee population. 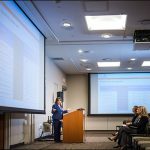 The town hall included a spotlight on FY17 nursing accomplishments, system updates and a review of last month’s successful Magnet® site visit, a crucial step in the hospital’s journey toward Magnet® re-designation. 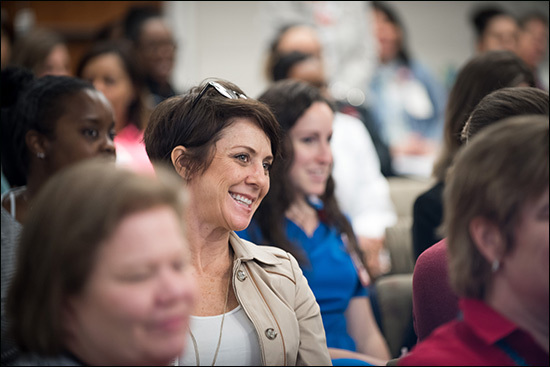 Magnet® designation is considered the gold standard for nursing excellence. 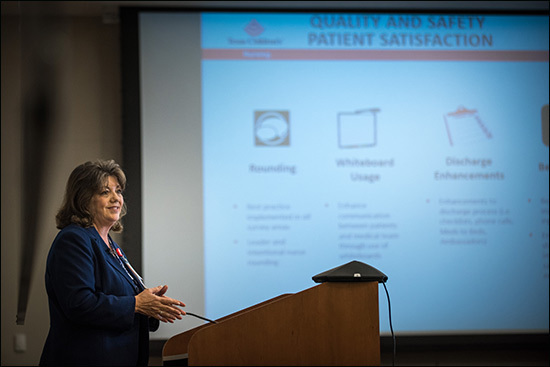 Strategic Priorities: Success related to retention (our FY17 goal of turnover rate ≤ 10 percent was met), patient satisfaction and RN engagement were reviewed – all of which were reflected in our successful Magnet site visit. 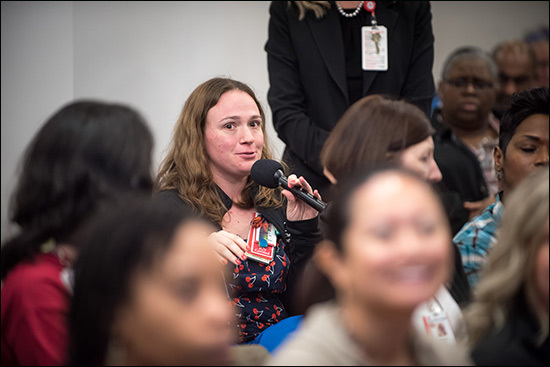 Magnet re-designation: One appraiser described the site visit as “life changing” while another commented that “two words for the visit were love and joy.” Among other things, our nursing team was recognized for leadership, interdisciplinary collaboration and steadfast focus on family-centered care. System Updates: The town hall included timely updates on Legacy Tower – which is set to open on May 22 – and Mission Control, our new state-of-the-art communications hub to ensure the safe and efficient transfer of patients to our hospital. The town hall concluded with a Q and A session. 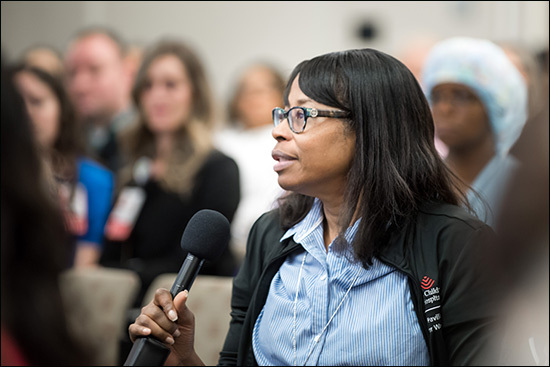 Participants in our live audience as well as nurses in our remote locations could submit their questions during the town hall thanks to our use of virtual technology. 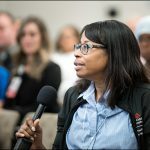 For those of you who were unable to attend the Nursing town hall event last week, click here to view it on-demand at your convenience. More than 528 employees and staff with a total 10,150 combined years of Texas Children’s service were honored last week at our 30th Annual Employee Recognition Celebration. On February 20, veteran employees poured into the Bayou City Event Center just before noon, to celebrate the core of Texas Children’s past, present and future. The event recognized our long-time honorees and award recipients for their continued commitment to the mission of Texas Children’s. Lavish decorations filled the large ballroom, and a delectable three-course meal was served. Entertainment included music from the past 40 years, but the crowd favorite was a photo booth that broke the ice as everyone took pictures, mixed and mingled. Our very own ukulele choir kicked off the program, grabbing the crowd’s attention as they sang their original song, The Texas Children’s Way. 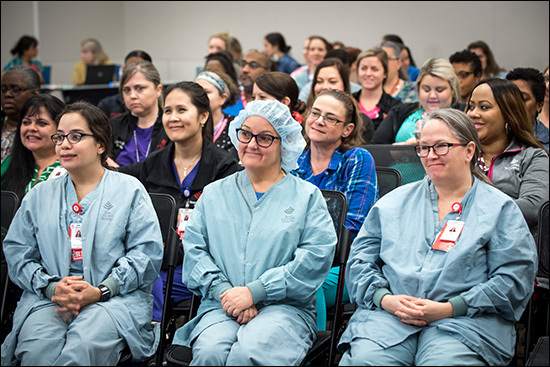 Texas Children’s Board of Trustees member Willie Alexander, and Radiologist-in-Chief Dr. George Bisset delivered inspiring speeches and congratulated each employee as he or she crossed the stage to receive recognition for15 to 45 years of service. In addition to long-time honorees, the ceremony recognized recipients of the Best of the West, Mark A. Wallace Catalyst Leadership, Smiles and Super Star awards. 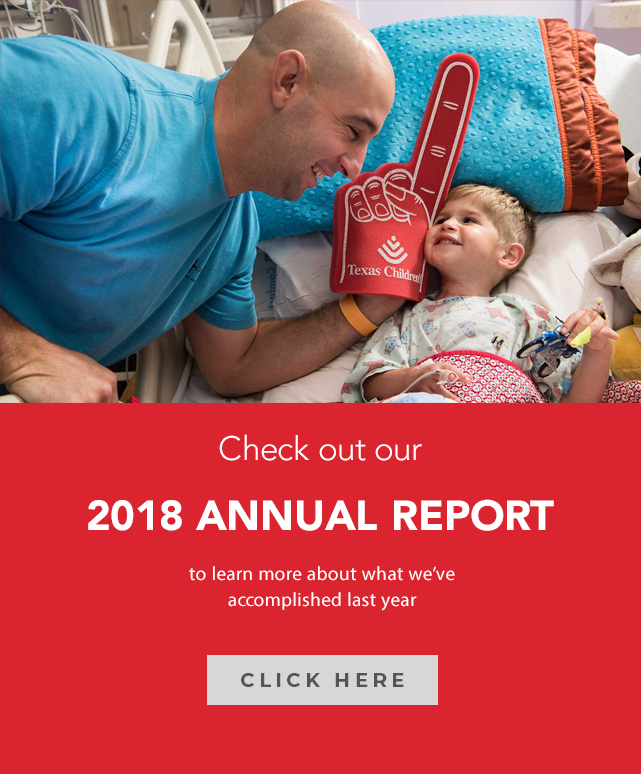 The annual event was a day to celebrate accomplishments and honor those who have carried out the values and the mission of Texas Children’s to ensure we meet the health care needs of our patients and their families. 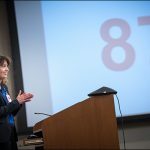 With the opening of its first urgent care clinic in Austin just one week away and plans rapidly progressing to open its first specialty care location in October, Texas Children’s recently hosted two town hall meetings at main campus to share more details with interested employees about available positions and how they can apply, transfer and relocate to the capital city. Additional town hall meetings on the Austin expansion will be held from 10:30 a.m. to 11:30 a.m., Monday, March 19, in the conference center at West Campus and from noon to 1 p.m., Friday, March 23, in the conference center at The Woodlands. Health Center and Specialty Care Center employees can participate in the town halls from their local conference rooms via telemedicine. Texas Children’s will launch its specialty care services in a two-floor, 51,000-square-foot facility in north-central Austin, with 400,000 pediatric lives located within a 30-minute drive. There will be 17 providers representing 11 medical and surgical sub-specialties to start, as well as x-ray, ultrasound and neurology, pulmonary and cardiology testing. 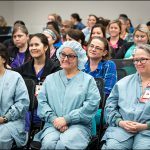 Nearly 40 specialty care positions will open throughout this fiscal year – from outpatient staff RNs, ambulatory service representatives and medical assistants, to certified ophthalmic technicians, radiology and ultrasound specialists, ECHO sonographers, a social worker, clinical dietician and more. 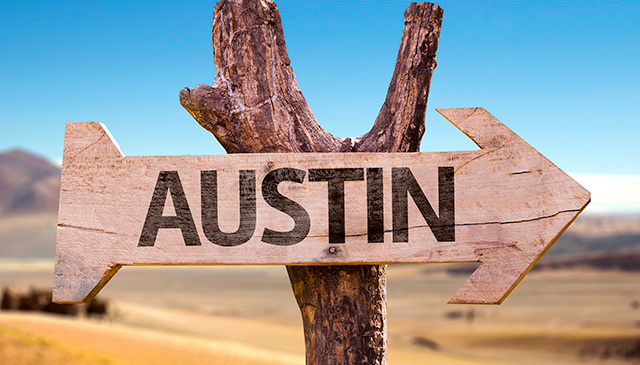 A full list of available positions can be found in the Town Hall section on the new Austin page on the Careers website, along with answers to frequently asked questions and other resources. 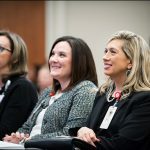 All job openings will be posted internally before being announced to external candidates, giving Texas Children’s employees the first opportunity to apply. To be considered for internal transfer, employees must meet the eligibility requirements detailed in the Internal Transfer Policy and fulfill the minimum qualifications for their desired position. 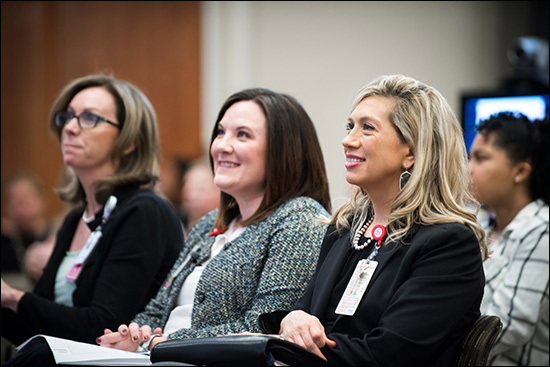 Relocation assistance will be offered to employees to provide additional support for their move to Austin, and those selected for transfer will enjoy the same benefits packages, compensation model and salary structure as they have at Texas Children’s locations in Houston and Harris County. 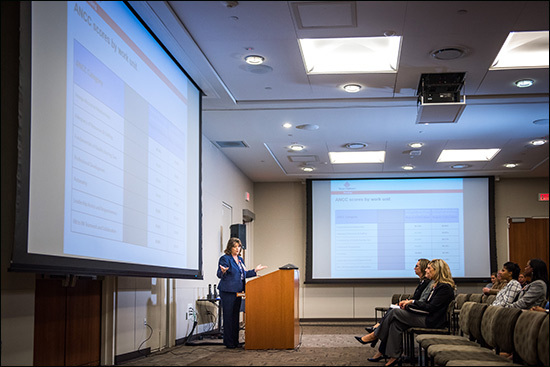 Vice President Ivett Shah told town hall attendees that employees interested in transferring to Austin must be flexible enough to handle the changes that will come as Texas Children’s continues to evolve and expand in the new market. Several additional urgent care clinics, specialty care locations, primary care practices and maternal-fetal medicine practices are slated to open across the city over the next five years. 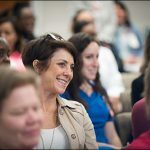 For more information, visit the Austin careers page; attend the town hall meetings scheduled in March at The Woodlands and West Campus; or contact attend the town hall meetings scheduled in March at The Woodlands and West Campus; or contact Bobbie Jehle at 936-267-5823. 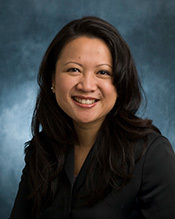 The American Board of Lifestyle Medicine (ABLM) announced that Dr. Tiffany Nguyen, is among the 204 physicians and 43 PhD/Masters-level health clinicians who have become the first medical professionals globally, to be certified as Diplomates of the ABLM/American College of Lifestyle Medicine (ACLM) and the International Board of Lifestyle Medicine. 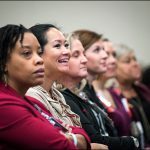 The ABLM was formed in November, 2015, in Nashville, Tennessee, by a group of visionary physicians who saw the need to: educate physicians and allied health professionals about Lifestyle Medicine; set a common standard/language for Lifestyle Medicine protocols globally; differentiate between evidence-based Lifestyle Medicine professionals and non-evidence based Lifestyle Medicine practitioners; set a global Lifestyle Medicine benchmark; and attract health insurance funding for evidence-based Lifestyle Medicine by requiring that any fund receivers be formally certified. 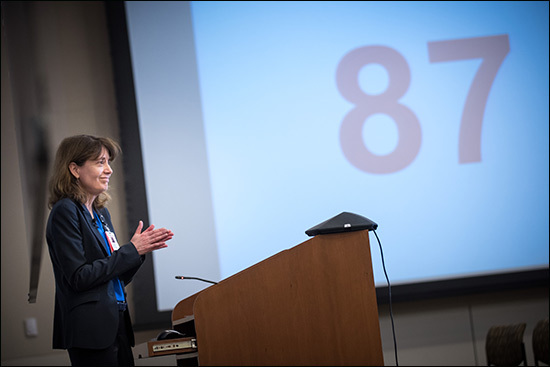 Each clinician took an exam October 26 in Tucson, AZ, following the American College of Lifestyle Medicine’s 2017 conference. Dr. Nguyen practices at the Texas Children’s Pediatrics Kingwood location, where she continues to uphold the core values of ALBM as well as Texas Children’s. Texas Children’s Health Plan and the Boys & Girls Clubs of Greater Houston have teamed up to provide free school year and summer memberships to active Health Plan members between the ages of 6 and 12. The Boys & Girls Clubs of Greater Houston has 14 locations across the region and offers a range of after-school programs, including Academic Success, Healthy Lifestyles, and Good Character and Citizenship. 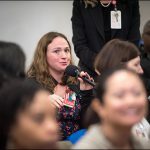 Dr. Heidi Schwarzwald, chief medical officer of pediatrics at Texas Children’s Health Plan, said the new relationship reaffirms our belief that community health and wellness is achievable when we take a holistic view of a child’s life and ensure medical, physical and emotional needs are met. 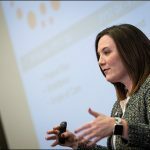 “We are excited for what this partnership will mean for our health plan members and the community at large,” Schwarzwald said. 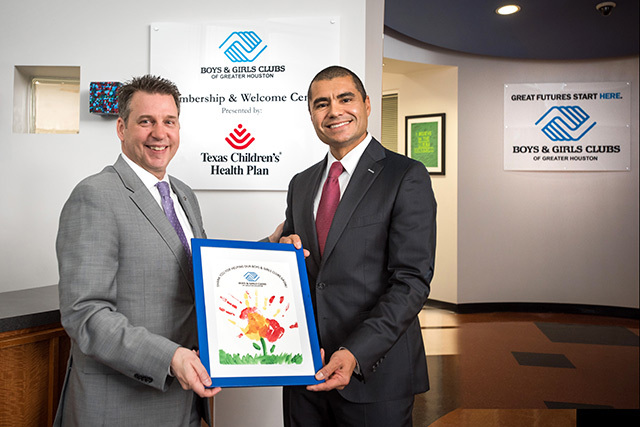 Lou Fragoso, president of Texas Children’s Health Plan, echoed Schwarzwald’s comments adding that care happens beyond hospital walls, in homes, communities, and at organizations such as the Boys & Girls Clubs of Greater Houston. “By offering our members access to these clubs allows us to expand that holistic vision of care and helps create healthier communities,” Fragoso said. 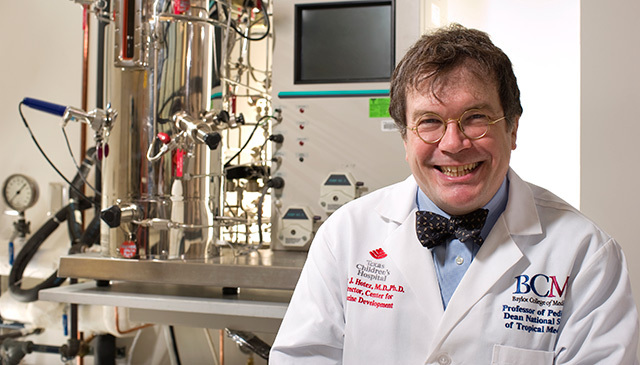 The U.S. Department of State announced that Dr. Peter Hotez has been appointed as a representative to the U.S.-Israel Binational Science Foundation Board of Governors. Hotez is a world renowned expert in neglected tropical diseases, the most common diseases affecting the poor. 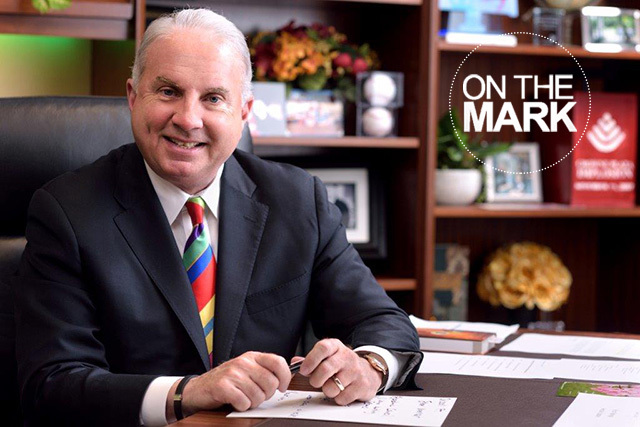 He is also the Texas Children’s Hospital Endowed Chair in Tropical Pediatrics. The foundation promotes scientific cooperation between the United States and Israel by supporting collaborative research projects in a wide area of basic and applied scientific fields for peaceful and non-profit purposes. 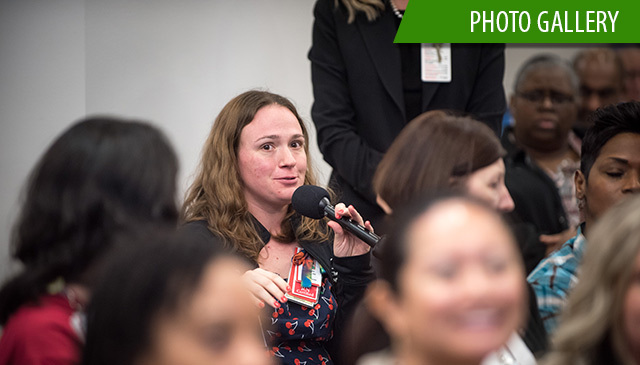 The Foundation also supports workshops and travel grants for young scientists. Since it was established, they have awarded over $600 million to more than 4,500 research projects that have resulted in significant advances in many scientific fields. Hotez previously served as U.S. Science Envoy for the U.S. Department of State, focusing his work on Saudi Arabia and Morocco. This is just one of the many honors that Hotez has received, and he plans to continue innovating and inspiring through his work within Texas Children’s and internationally. 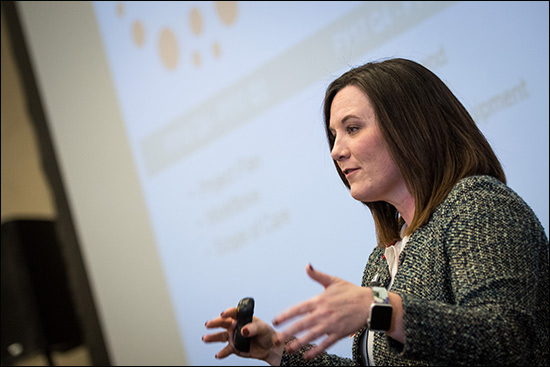 Cardiologists with Texas Children’s Adult Congenital Heart Disease Program recently received The American Board of Internal Medicine’s (ABIM) new Adult Congenital Heart Disease certification. 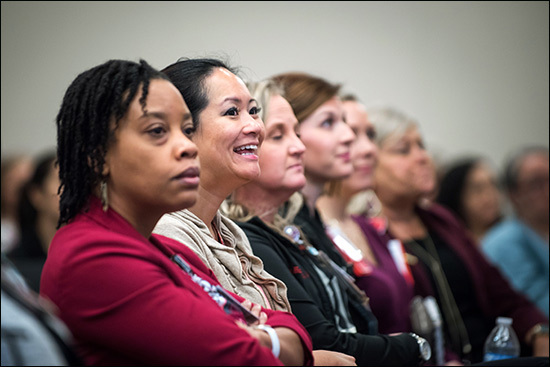 The ABIM certification is designed to recognize the qualifications of physicians who are specialists in the care of a wide range of adult patients with congenital heart disease. Program Director Dr. Wayne Franklin, Associate Program Director Dr. Peter Ermis and Cardiac Rhythm Specialist Dr. Wilson Lam earned the certification after passing the exam, available only to qualified ABIM and/or American Board of Pediatrics diplomates who have completed required training in cardiovascular disease or pediatric cardiology. Texas Children’s Adult Congenital Heart Disease Program earned Comprehensive Care Center accreditation from the Adult Congenital Heart Association this past fall. 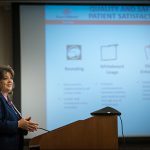 Texas Children’s Adult Congenital Heart Disease Program is the first in Texas to receive this esteemed designation. Our program also now has the most ACHD board-certified cardiologists than any institution in Texas. Click here to read more about our Adult Congenital Heart Disease Program and the providers who received the ABIM certification.